Today I want to introduce another cloud term desktop-as-a-service (DaaS). Frame is a unique desktop-as-a-service platform built from scratch specifically for cloud deployment. Experience the only infrastructure-independent platform for delivering applications and desktops without cloud lock-in. Run Windows applications in the cloud. Access them from your browser — no plugins required. Frame is not a competitor for vendor locking VDI solutions 😉 so there is no “copycat” formula. Traditional VDI solutions, like Citrix or VMware, were designed for a non-elastic, single-tenant data center infrastructure. Reimagining end-user computing in the cloud required radical departure: new architecture, new DevOps principles, and a new vision. Frame was born in the cloud, which is the key reason why everything fits perfectly. Each Frame subsystem – from connection broker to identity management gateway – uses modern, high performance, cloud-native tools. The result is a superior user experience, easy administration, and dramatically lower operational cost. Desktops-as-a-Service (DaaS) within Xi Cloud Services. The service will initially support 1-click desktop instances on AWS and Azure and continually expand to all types of cloud environments. Nutanix’s mission has been to simplify the entire IT stack, starting with physical infrastructure, and gradually enveloping the rest of the data center infrastructure. Xi Cloud Services will be an evolution of this strategy, to both bring the power of the hybrid cloud to enterprises and supporting a cloud-first consumption model of on-demand services with zero friction to enterprise systems and tooling. 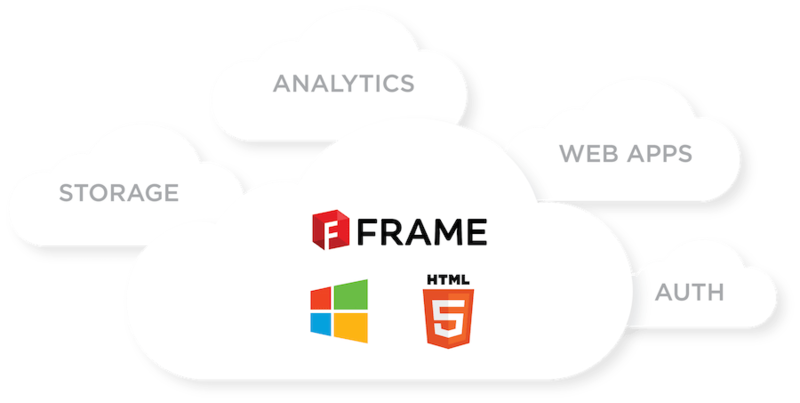 Frame runs your applications on powerful servers in the cloud and delivers the user interface to your browser as an optimized H.264 video stream. Mouse and keyboard actions are sent back to the Frame Cloud in real time. The user interface updates so quickly it feels like the app is running locally — even when you’re thousands of miles from our servers. 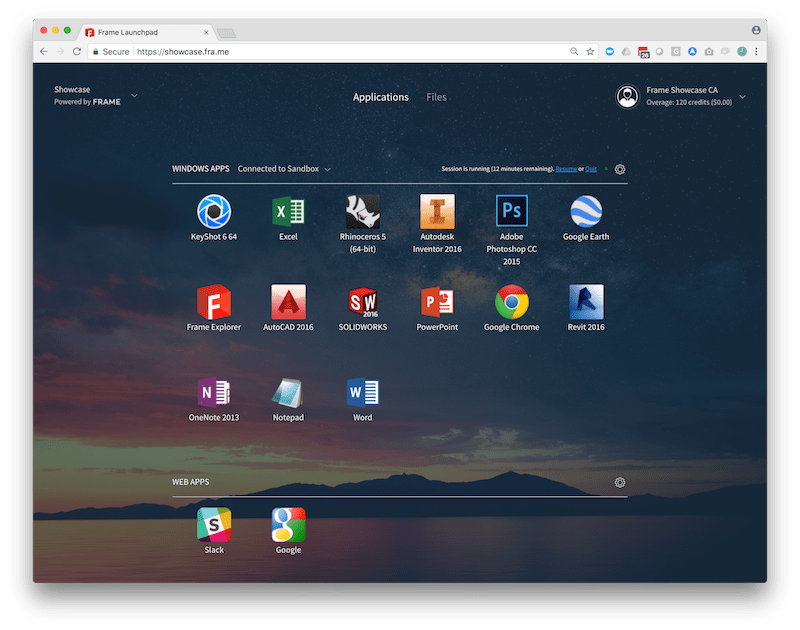 Frame gives you everything you need to deliver desktops and applications, including integrations with popular identity, network, and storage solutions from leading vendors. Run client software in any HTML5-capable browser, with no proprietary client. Run what you want to, on what you want to. The choice is yours when it comes to public cloud providers (including AWS and Azure), and delivering Windows or Linux-based applications and desktop environments. Run workloads in a cloud that meets the most stringent security demands, including an isolated government-only cloud for government organizations handling sensitive, highly regulated information.